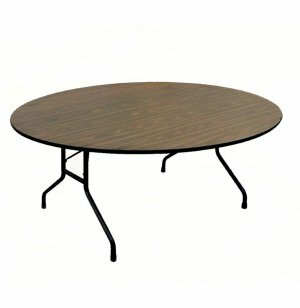 Plywood Round Folding Table 60" dia. 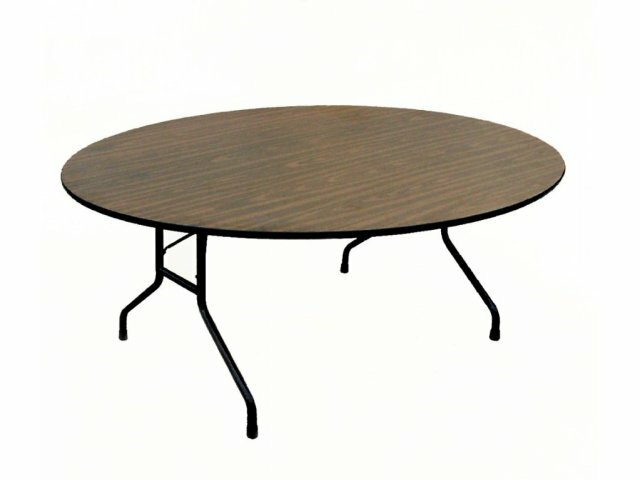 Round folding tables offer a great space for meetings, group work and much more. Sturdy, lightweight folding tables can be useful in any space. Whether you are setting up for a faculty lunch or a science fair, they can be moved into position easily. With a plywood core and high-pressure laminate top you get extra durability, so these folding tables will come in handy for many years. Foldable tables are ready to stand up to constant use. Heavy-duty steel wishbone legs provide reliable support and leave plenty of legroom, while a lock-open mechanism and plastic glides ensure stable positioning. No matter what you need tables for, versatile folding tables are a wise investment. Smooth Surface: Premium high-pressure laminate surface resists heat, stains, and warping. Tough Core: The 3/4"-thick plywood top provides superior durability. Edge Protection: Bull-nose edge banding prevents dents and scratches. 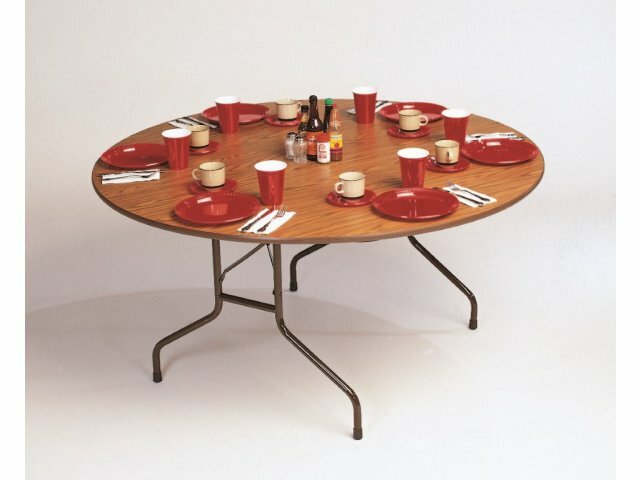 Fully Covered: A balanced backer sheet means your table is protected on all sides. Sturdy Support: Heavy-duty, 18-gauge steel wishbone legs provide stability and legroom. Secure Position: Lock-open mechanism ensures that tables stay put. No Scratches: Plastic foot caps won't scuff floors.